This book is among the first comprehensive efforts to collectively and academically investigate the legacy of the Euromaidan in conflict-torn Ukraine within the domain of civil society broadly understood. 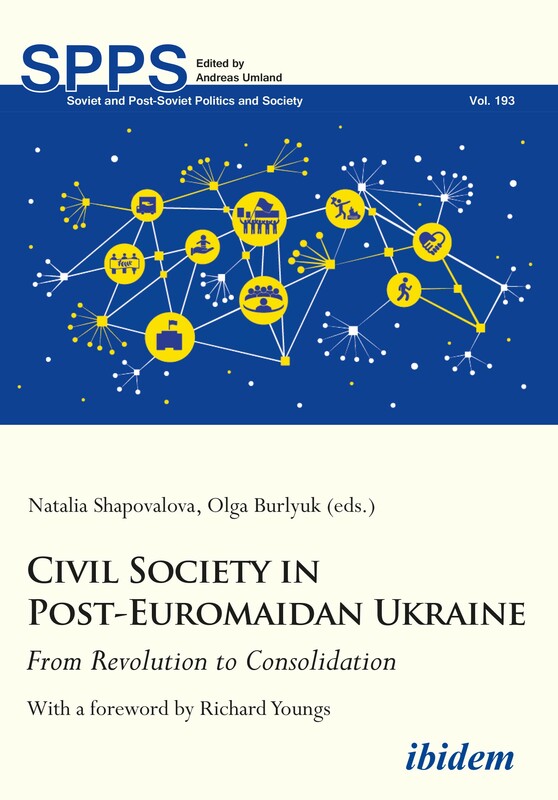 The contributions to this book identify, describe, conceptualize, and explain various developments in Ukrainian civil society and its role in Ukraine’s democratization, state-building, and conflict resolution by looking at specific understudied sectors and by tracing the situation before, during, and after the Euromaidan. In doing so, this trailblazing collection highlights a number of new themes, challenges, and opportunities related to Ukrainian civil society. They include volunteerism, grassroots community-based activism, social activism of churches, civic efforts of building peace and reconciliation, civic activism of journalists and mediators, digital activism, activism of think tanks and expert coalitions, the LGBT movement, challenges of civil society relations with the state, and the closing of civic space. Dr. Natalia Shapovalova is an Associate Fellow at Vesalius College Brussels and member of the Carnegie Civic Research Network. She studied politics and international studies at Warwick, Maastricht, Lublin and the Kyiv-Mohyla Academy. Her research has been published with Routledge, Palgrave, John Hopkins University Press as well as in European Security, East European Politics and the Kyiv-Mohyla Law and Politics Journal. Dr. Olga Burlyuk is a Research Foundation—Flanders (FWO) Fellow at the Centre for EU Studies at Ghent University. She studied international relations and law at Kent, Maastricht and the Kyiv-Mohyla Academy. Her papers have appeared in the Journal of Common Market Studies, East European Politics and Societies, East European Politics, and Kyiv-Mohyla Law and Politics Journal. Dr. Richard Youngs is a Senior Fellow in the Democracy and Rule of Law Program at Carnegie Europe.